A lot of Japanese restaurants have been growing recently in Baguio! This may be proof that Japanese students are gradually increasing in number and that the city of Baguio is their popular choice in studying abroad. In a one place, there is a famous restaurant called “Chaya”. 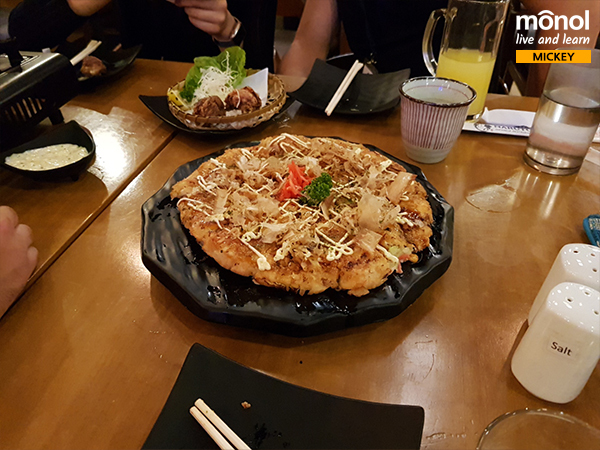 Or, the closest thing to MONOL Food is the “Karenun Food Hub” or “Yamashita” located at Red Lion where students go for a drink. 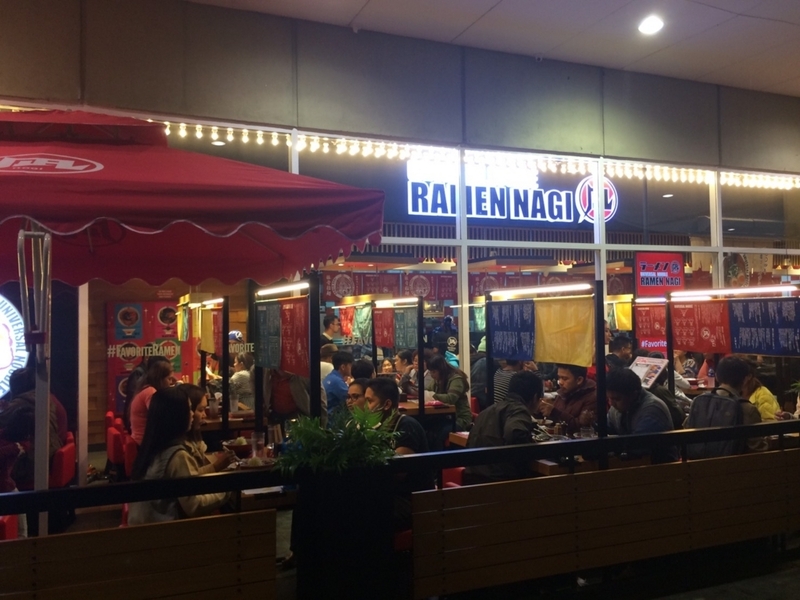 “Ramen Nagi” is a newly made restaurant at SM Baguio Mall. They offer a good price and the location is convenient. 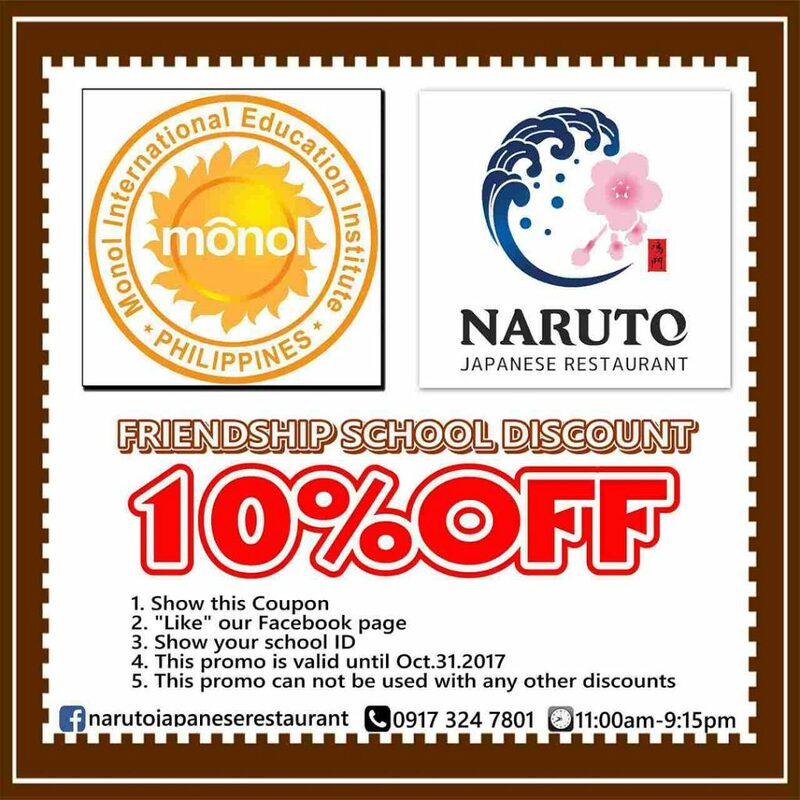 Therefore, with this coupon, a lot of students visited Naruto. The location of the restaurant is the building in front of Baguio City Hall, so you can easily go to there by riding a jeepney. Get off before entering Burnham Park ( after Mcdonalds ), hotel restaurants are lined up and you can see it immediately. Naruto is the innermost part of it. I feel like the whole building was finished at the end of 2016, so it is still inside a new building. Fried from plenty of Naruto salad and juicy, beef bowl. 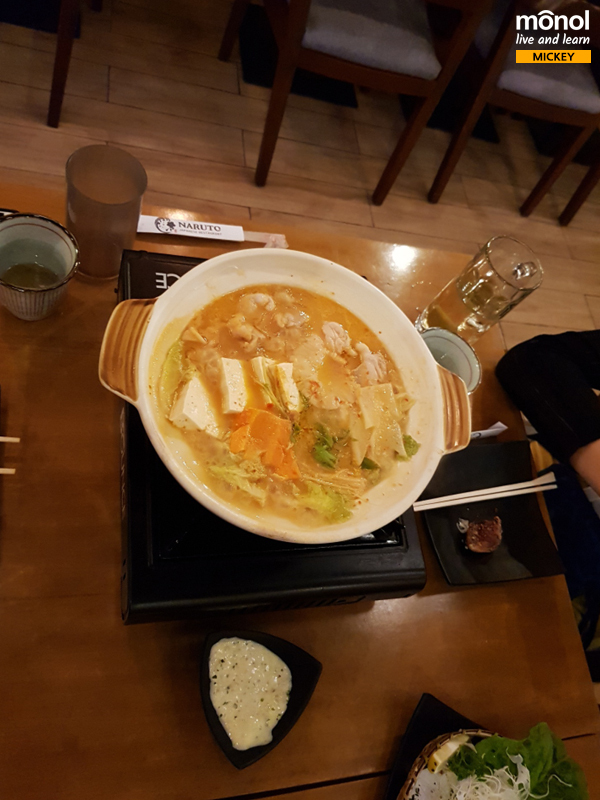 When you are planning to stay in Baguio for a long time, there is no doubt that you will miss Japanese food ! Unique unique Baguio! There is also a pot. 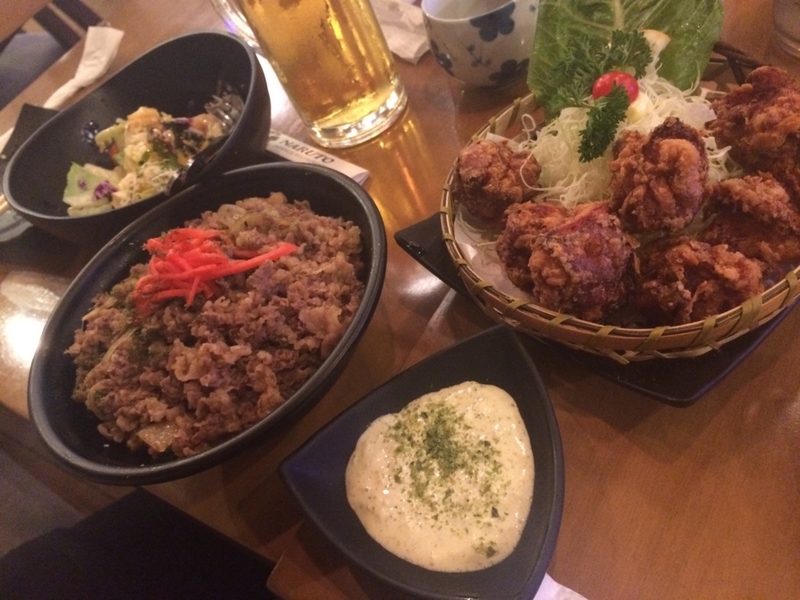 In Naruto , Okonomiyaki and Takoyaki are the featured menu. There are also Takoyaki equipment’s available, so we can also have a Takoyaki party. 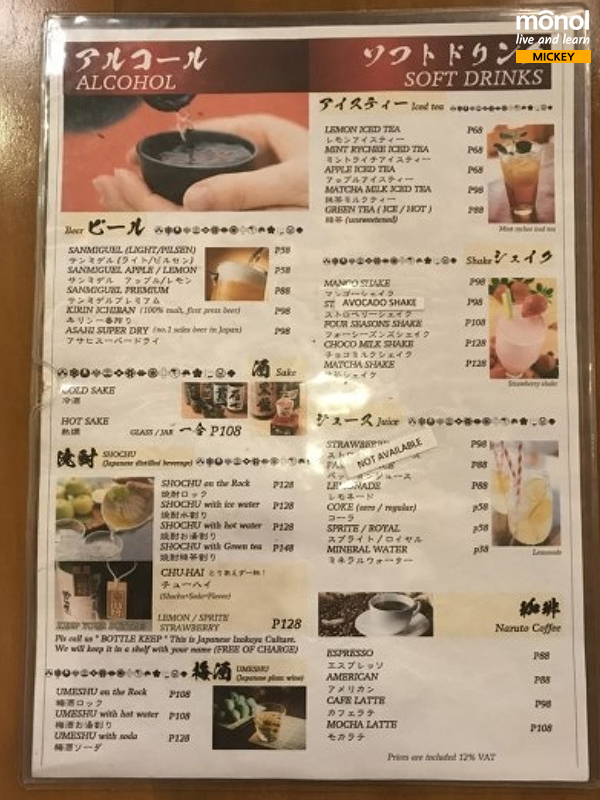 There is also a drink menu like this one! The last order is at 21 o’clock, so we have dinner here on weekends. Dinner is very good! 2003년에 설립된 모놀어학원은 필리핀 내에서도 청명하고 온화한 기후로 유명한 바기오에 위치해 있으며, 다년간의 경험을 바탕으로 축적된 교수법을 적용하여 양질의 교육과 서비스를 제공합니다. 모놀은 ‘다같이 모여서 영어로 놀자’의 줄임말로서, 학생들이 원하는 학습을 충족시키고자 노력을 기울이며, 학생들의 성공적인 어학연수를 위해 힘쓰고 있습니다. 모놀어학원은 학습 효과를 극대화하기 위하여 다양한 수업방식을 제공함과 동시에 스파르타 교육 시스템을 적용, 개개인의 영어 사용에 대한 자신감을 높이고 자신의 한계를 극복할 수 있도록 독려합니다.